(3-26-19) I’ll be speaking April 2nd at the National Alliance on Mental Illness Dane County 2019 Awards Banquet and Gala in Madison, Wisconsin. Please support NAMI by attending if you live in the Madison area. The 2019 book season is upon us. Here’s a few that have caught my eye. If you have one that you’d like to recommend, please do so on my Facebook page. Surviving Schizophrenia, 7th Edition, by Dr. E. Fuller Torrey. Long considered the most comprehensive and authoritative book written about schizophrenia, an updated Surviving Schizophrenia is being released today. It was groundbreaking when it was first published in the early 1980s. Here’s how my former colleague at the Washington Post, Peter Carlson, described the book’s impact in a 2001 article that documents how this important work helped NAMI become a national organization. If you have schizophrenia, know someone who does, or want to educate yourself about this serious mental illness, this is a must read. When Laurie Flynn walked into the office of the National Alliance for the Mentally Ill for her first day as executive director in 1984, she found a pile of mailbags, each of them stuffed with letters. It was all because of E. Fuller Torrey. 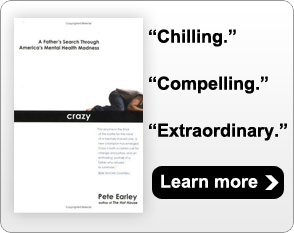 Torrey had just published “Surviving Schizophrenia,” a guide for patients and their families. When he appeared on Phil Donahue’s TV show to promote it, he urged people seeking help to contact the alliance, which was then a fledgling organization with fewer than 50,000 members, most of them the parents of mental patients. The result was this avalanche of mail. Torrey donated the royalties of “Surviving Schizophrenia” to the alliance and he hit the hustings to organize, helping to build the group into a powerful lobbying organization with more than 220,000 members. Comments and Questions From Readers: Why Did You Write That? Community vs State Hospitals? (3-18-19) Reader comments and questions. 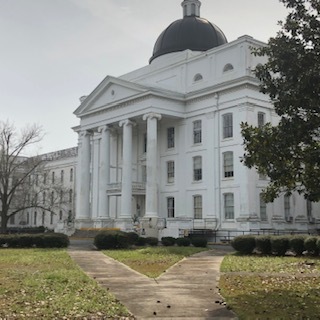 Dear Pete: Your photo essay on the state hospital in Georgia was well done and thoughtful. However, the dubious distinction of largest of its type actually goes to a facility that was near my home town in New York – according to Wikipedia. See below. Pilgrim Psychiatric Center, formerly known as Pilgrim State Hospital, is a state-run psychiatric hospital located in Brentwood, New York. At the time it opened, it was the largest hospital of any kind in the world. At its peak in 1954 it had 13,875 patients. Its size has never been exceeded by any other facility, though it’s now far smaller than it once was. 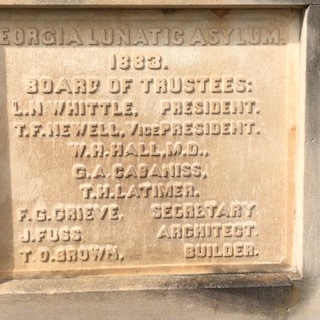 “Pilgrim Psychiatric Center”. We were also told, if we misbehaved as children that we would go to Pilgrim State. Central State Hospital. By the 1960s the facility had grown into the largest mental hospital in the world (contending with Pilgrim Psychiatric Center in New York). Pilgrim Psychiatric Center cir 1938. (3-15-19) I recently spoke at a nursing symposium at Georgia College in Milledgeville. 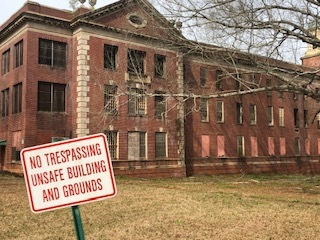 I took advantage of my trip to visit Central State Hospital on the edge of that community. During the 1960s, it was the largest state mental hospital in the world with more than 12,000 residents. It is difficult to walk its largely deserted grounds and read its history without feeling an abiding sadness. While there were periodic efforts to treat patients humanely, the hospital never received sufficient state funding or had adequate staff to care for those confined there. Nor did its doctors know how to help most patients. Thousands died and were buried in unmarked graves. The state announced it would close the hospital in 2010, but instead now uses parts of it to house forensic patients. The asylums are nearly gone, replaced by jails and prisons. Is this progress? I’d like to tell you about how far our family has come since a hot July day in 2013 when our middle son, Andrew Neil, experienced a psychotic episode and thrust a kitchen paring knife into his younger brother, Kyle’s forearm. Andrew was committed into Virginia’s state hospital system for three years. The long term and quality treatment that our son received made a positive and transformative difference in his life and in ours. It has not been all roses. But in the end, consistent treatment and therapy worked for our son. Our son’s recovery story is one that I want to share to give others hope and document what worked. New Study Links Parasite To Mental Illness: Who Will Continue Investigating Causes Of Schizophrenia? (3-8-19) Could we be ignoring a likely cause of schizophrenia? For the past two decades, Dr. E. Fuller Torrey has argued that we have. More than eight years ago, in an article entitled The Insanity Virus, he argued that schizophrenia does not begin as a psychological disease but as an infection. Now new research led by the Copenhagen University Hospital in Denmark suggests that a parasite may, in fact, be a “contributing causal factor for schizophrenia.” The study—the largest of its kind—was published in the journal Brain, Behavior and Immunity. The study contradicts one done in 2017 that found no link between cats and mental illnesses. Since 1990 the Stanley Medical Research Institute, that Dr. Torrey founded with funds from philanthropists Ted and Vada Stanley, supported research and treatment trials to find better mental health medications. Dr. Torrey looked in areas where others didn’t. The Institute funded numerous research studies overseas and more than 300 trials. The deaths of the Stanleys, unfortunately, has caused the Institute to reduce its spending. The pharmaceutical industry also has significantly reduced its support of research and treatment trials for schizophrenia, leaving only the National Institute of Mental Health to investigate schizophrenia. Dr. Torrey has criticized its director for scaling back those trials and focusing only on traditional assumptions. Which makes one ask: who will look outside the box? More than 40 million people in the United States may be infected with the single-celled cat-borne parasite Toxoplasma gondii, according to the Atlanta-based Centers for Disease Control and Prevention. The infection typically occurs by eating or handling undercooked, contaminated meat or shellfish; drinking contaminated water or accidentally swallowing the parasite through contact with cat feces. Most infected individuals don’t have symptoms, but pregnant women and those with compromised immune systems are at heightened risk of a flu-like illness or serious eye and brain damage. Prenatal infection may also cause abortion or a congenital syndrome involving seizures and intellectual disability. While very few infected individuals are known to experience the physiological symptoms associated with a Toxoplasma infection, some studies have found the parasite can alter the psychological behavior of mice and possibly, alter human cognition. In 2012, a study of more than 45,000 Danish women found those infected with T. gondii were 1.5 times more likely to attempt suicide than uninfected women. Other studies have argued against any “overblown” psychological fears. » RELATED: Can your cat cause mental illness?